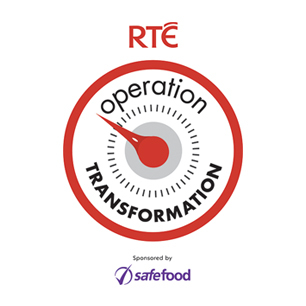 Operation Transformation is a National Health and Fitness Initiative run annually on RTE in conjunction with Sport Ireland. 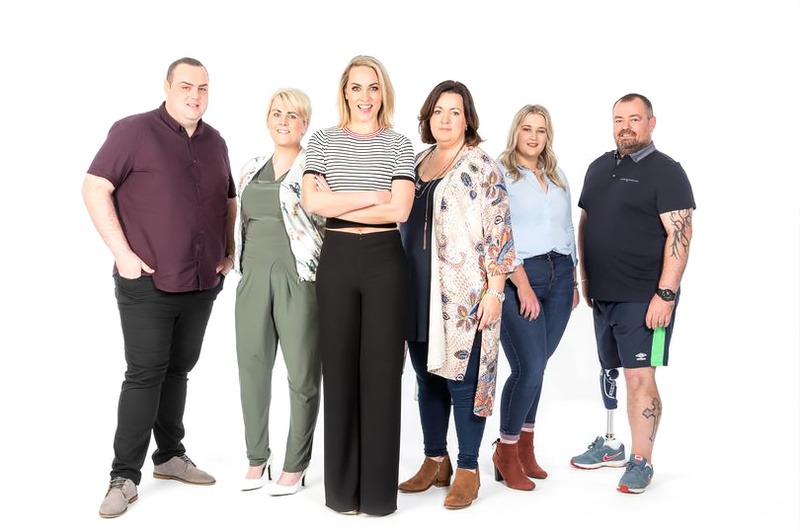 Each year the Local Sports Partnerships help people get active by holding a series of Operation Transformation walks. Keep an eye on this page for more updates! Running in a parkrun event is totally free. You don’t pay to run, ever. And every event is organised by a group of local volunteers. Buntús Programmes are exciting programmes developed to support teachers and childcare practitioners in introducing young people to sport and physical activity. The programmes are rolled out through Sport Ireland’s network of Local Sports Partnerships. Sport Ireland recognises the major role that sport can play in the lives of young people. It is important that an enjoyable multi-sport and non-competitive model is used to introduce our children to sport that will complement and enhance both our school and community sport programmes. For all Buntús programmes the programme is delivered in a package consisting of 3 components; the equipment, the resource cards and the training. The three key components of the programme are designed to provide easy to understand, and accessible support to give children a fun, but high quality, introduction to sport. The purpose of the course is to empower teachers and childcare practitioners to use the cards in their PE / physical activity sessions. 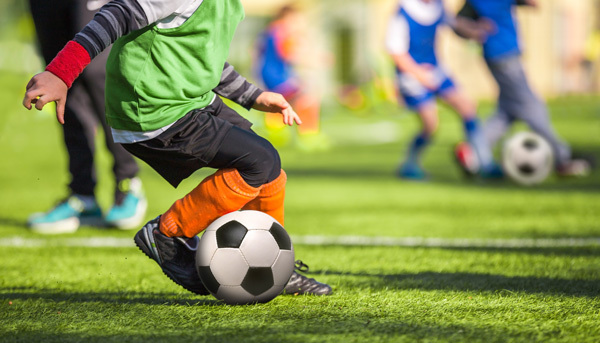 Buntús Generic refers to Buntús Play and Spóirt programmes which are based on the Tops Play and Tops Multi-Sport programmes run by Youth Sport Trust in the UK. The Play bag is aimed at Junior Infants up to 2nd class and the Spóirt bag is aimed at 3rd to 6th class. However, the games on the cards can be adapted to suit the class’s ability. Buntús Generic complements the Games strand of the PE curriculum which is one of six strands. Sport Ireland provides Sport Specific Buntús programmes in association with some National Governing Bodies of Sport. Schools must have received Buntús Generic programme before receiving any of the Sports Specific programmes. The training is provided by the Regional Development Officers from the National Governing Bodies and specially trained Buntús tutors. Currently the Buntús Sports Specific programmes available to schools are Buntús Soccer run by the FAI, Buntús Badminton run by Badminton Ireland and Buntús Golf run by Junior Golf Ireland. Our One Million Step Challenge has proven to be a hugely popular programme. Schools are supplied with step counters for a week and challenged to reach one million steps between a group of students. To add an element of competition, the teachers are also challenged to do the same and the winning group is whoever has walked more steps. Wicklow LSP supply step counters and tracking charts and will deliver an overview to students at the beginning of the programme. The One Million Step Challenge is a great asset to all schools who are hoping to achieve their Active School Flag award in the coming year. 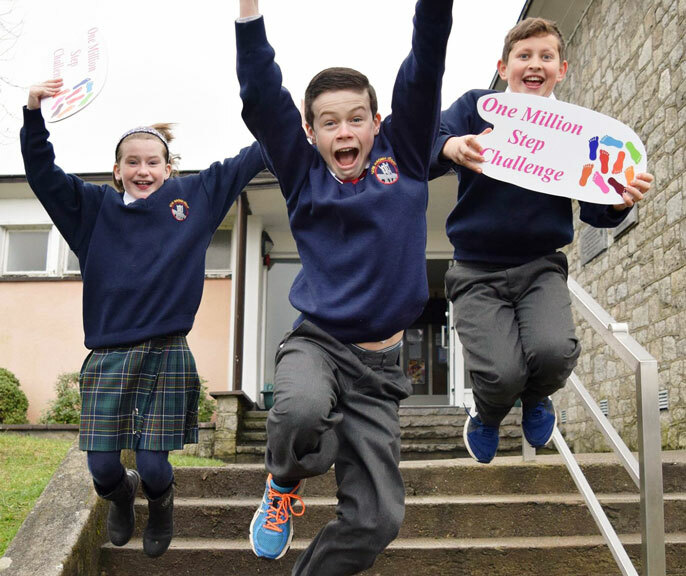 If you would like to take part in the One Million Step Challenge, please contact us onwicklow.sp@wicklowcoco.ie. Schools that have taken part already are welcome to take part again. Biking is a very flexible form of exercise. The Irish Tug of War Association and Wicklow Sports Partnership have teamed up to roll out our very successful Primary School Tug of War Programme in 2018. The aim of the programme is to introduce 3rd & 4th class primary school children to the Sport of Tug of War in a supportive environment. In return for full commitment to the programme, each school will receive a Coaching. Sportshall Athletics is an indoor form of track and field for children between the ages of 4 and 16. Sportshall is an exciting indoor programme of adapted athletics activities. 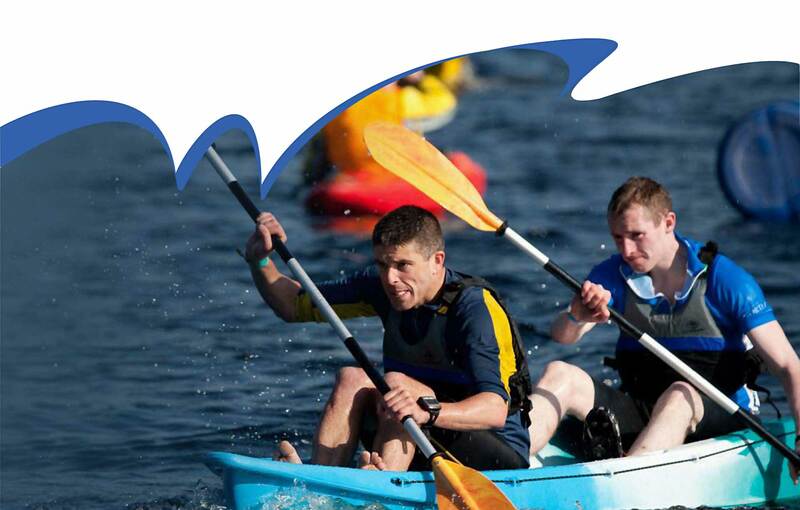 It provides fun ways to build core skills and is renowned for its exhilarating team competitions. The programme focuses on fitness and multi-skill development providing grounding for all sports. It is totally inclusive, encourages children to get fit and promotes friendship whilst having lots of fun. There is a maximum of 6 and minimum of 4 on each team and one team at each of the stations. We host an annual Basketball Blitz where primary schools are invited to play in a non competitive tournament againt other local schools. 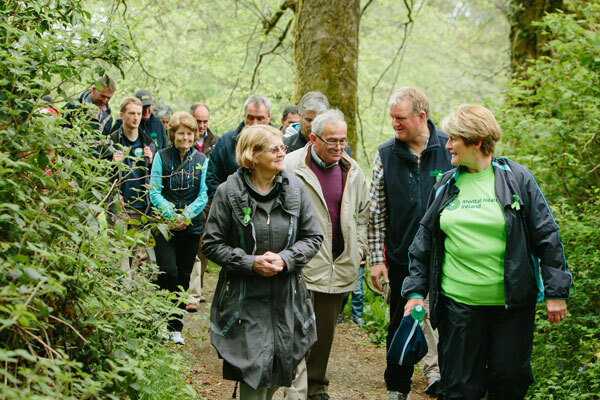 Get Ireland Walking is an initiative of the Sport Ireland, funded by Healthy Ireland, supported by Mountaineering Ireland, the Irish Heart Foundation, HSE Health Promotion and Improvement, Age and Opportunity, Gaelic Athletic Association, Ireland Active, Arthritis Ireland and others. 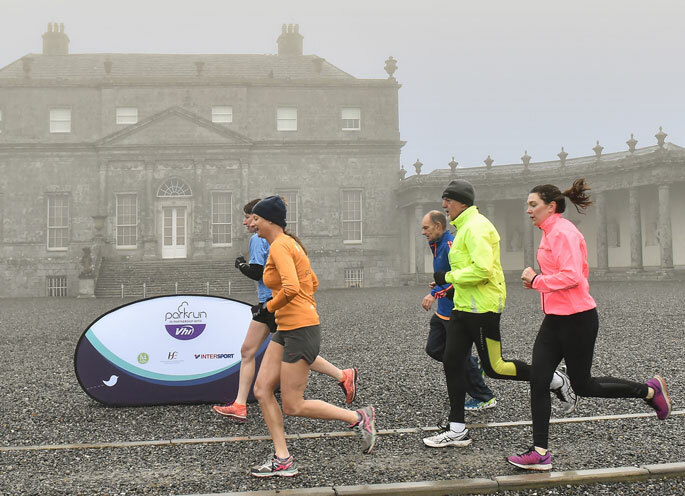 It aims to maximise the number of people participating in walking – for health, wellbeing and fitness – throughout Ireland. At Get Ireland Walking we can help you set-up and run a walking group and do so in a way that makes it satisfying and rewarding for you and fun for all the walkers in the group. We’ve got a wealth of support and information for walking groups, and this page runs through our quick-start guides on the key topics for groups. Wicklow is blessed with some of Ireland’s most scenic landscape and sceneries. From Mountains to Sea, Wicklow offers a variety of marked trails to suit all types of Walkers. The Community Coaching Programme is focused on assisting unemployed people to gain employment, coaching, volunteering and further education opportunities in the sports sector for example as coaches, referees, physical activity leaders etc. It will provide the participants with practical and theoretical sport-related skills and help them find relevant work experience in their local community. It will also contribute to the promotion of both physical and mental health amongst participants and in the community through the subsequent employment and/or volunteering work carried out by participants. The course will provide specialised sports-focused training and education for jobseekers. Work experience opportunities in NGBs, Clubs, Schools, etc will be built in to the programme. LSPs will be rolling out the courses locally with Local Employment Offices, Education and Training Boards, NGBs and other partners. The Community Coaching Programme is funded by the Dormant Accounts Fund. The programme will be advertised in late 2017 and begin in early 2018. 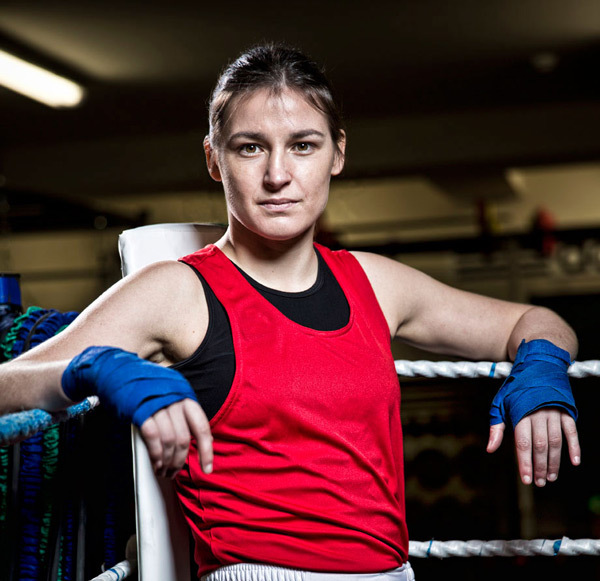 The Katie Taylor Bursary was established in 2013 by Wicklow County Council to honour the remarkable success of Olympic Champion boxer and Bray native, Katie Taylor. There have been 5 winners of the bursary to date with €11,000 awarded in total. The bursary is advertised each year in August or September.